Support for the Microchip SAML10 Xplained Pro board. 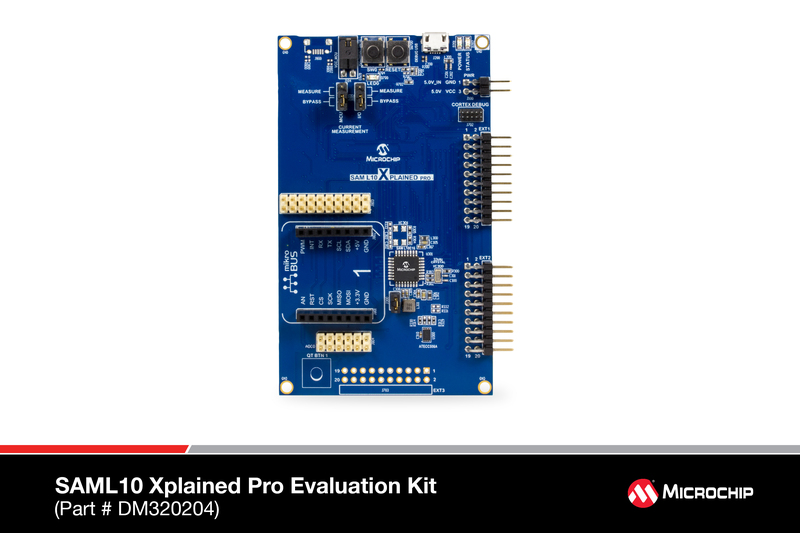 The SAML10 Xplained Pro is an ultra-low power evaluation board by Microchip featuring a ATSAML10E16A SoC. The SoC includes a SAML10 ARM Cortex-M23 micro- controller. For programming the MCU comes with 16KB of RAM and 64KB of flash memory. The standard method for flashing RIOT to the saml10-xpro is using EDBG. For using the saml10-xpro board we strongly recommend the usage of the GNU Tools for ARM Embedded Processors toolchain.